Engine was completely overhauled in2004, and has about 10 hrs on overhaul. 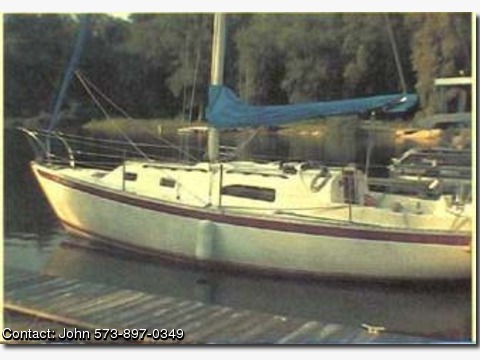 4 sails, 4 winches, This boat has been worked on for the last year & is in very good shape. Roller furling head sail and 3 others. 2 anchors, pedestal steering, no damage to hull or topside, teak has been redone, new marine VHF, new battery,new covering on cushions, holding tank for waste water, head has Y valve to maserator pump portable water holding tank, new plastic fuel tank with two fuel filters, bilge pumps- 2 auto 1 manual. Just needs a new home.